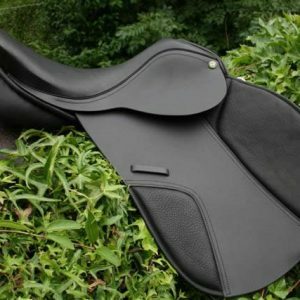 A stunning and unique saddle design that is perfectly balanced to help you and your horse attain their full potential. 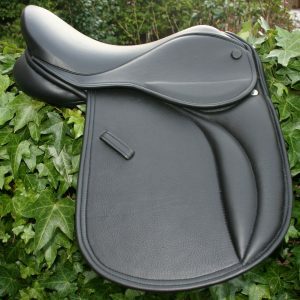 This saddle has been painstakingly designed for large shouldered horses and ponies. It has “cutaway panels” at the front of the saddle, to give room for horses shoulder movements, freeing up the horse like never before (See picture No6). 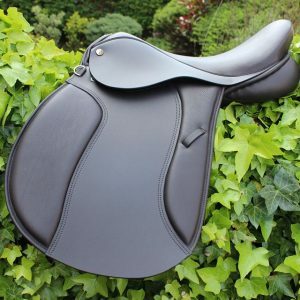 Available in sizes 15″, 15.5″ and 16″ but an adult version is also available IN 16.5″ UP TO 20″, please look in our Dressage Saddle Section for this. Short or long straps are an option and can be seen in the last two pictures. 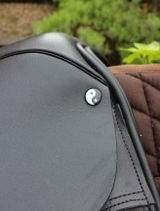 We can also, for horses who we feel do not need the LS panels, make it with Classic panels. See last picture. Our brand new Knee block design gives the rider who rides a little shorter than most, or who have a longer hip to knee measurement, more knee room. They are firm, yet ultra comfortable on the legs and knees. The position of the deep knee blocks offer balance and steadiness and promote the perfect dressage position without restriction. 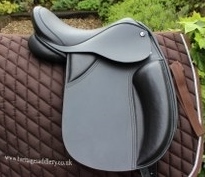 A thigh Triangle is also added but we can make your saddle without on request. The insert seat, pic 5, is an extra option at £40. This can be matching leather or Suede. Tree depths and twist widths available vary, and your input on the actual depth and twist required is encouraged. Decades of thought and design have gone into the Woolen flocked panels. We make our dressage saddles with nice wide panels and wide gullet to enable your horse to swing through their back, this improves engagement. Our saddles fit because we understand the needs of each horse and rider and every saddles panel is individually cut and stuffed according to each horses conformation. Matching super-soft padded leather, elasticated, Dressage girths of various styles are available, as are single strap Dressage leathers. 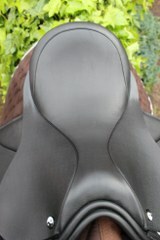 Heritage saddles are simply “Unique Saddles for Unique Horses”. We can design an eventing package to suit each horse and rider from your choice of any Dressage and jumping saddles in the Heritage range. We will supply all the matching tack too. Please contact Matthew for a money saving quote on these packages. 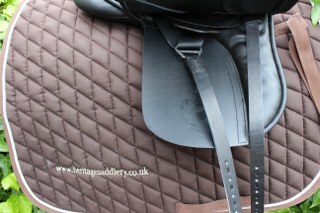 This is Just one of the saddles in our Dressage range and another stunning high quality 100% English Saddle. 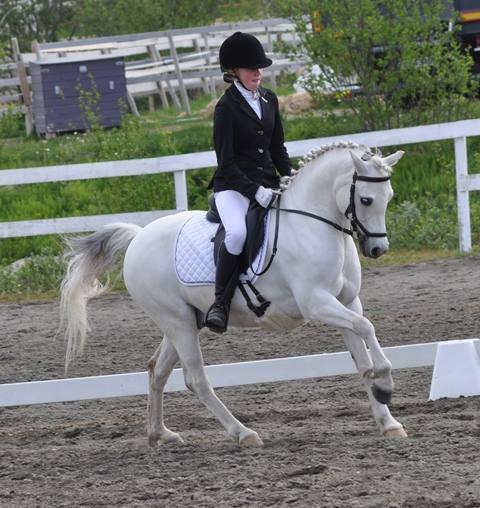 Last photo shows Vårin and her pony Roselyns Goldstar.